AN AMAZING FACT: The Twin Towers of the World Trade Center in New York City stood as the tallest buildings in New York City for 28 years, from their opening in 1973 to their destruction in the terrorist attack of 2001. The Twin Towers were the iconic part of a seven-building complex. None of the seven survived—following the collapse of the twin towers, a third building, known as 7 World Trade Center, collapsed, and the remaining four buildings were all torn down due to the irreparable damage. The tragedy resulted in 2,753 deaths. Today, the site is in the process of being rebuilt. The site of the Twin Towers is marked by a memorial and a museum, and will be surrounded by six new skyscrapers. The memorial consists of two giant pools marking the footprints of the fallen towers. The largest manmade waterfalls in the country pour down their sides, and the names of the victims of the attack are inscribed at their edges. The memorial plaza is filled with nearly 400 trees, but one tree stands out—the Survivor Tree. This tree, a Callery pear, was salvaged from the wreckage in October 2001. The eight-foot tree had just one living branch and was badly scorched and covered in ash. Nevertheless, New York City’s Parks and Recreation Department took the tree to a local nursery to be replanted. Though Richard Cabo, the tree’s caretaker, didn’t expect it to survive, it did. Now 30 feet tall, the tree has been replanted on the memorial site. The tree not only reminds us of those who survived the attacks, but of what one survivor called “the capacity of the human spirit to persevere.” In the face of tragedy and the loss of thousands of lives, our collective instinct was not to quit, but to rebuild. branches and coax us back to the abundant life He designed for us in the beginning, and soon He will transplant us in the rich soil of heaven—survivor trees, rescued from the rubble of sin. 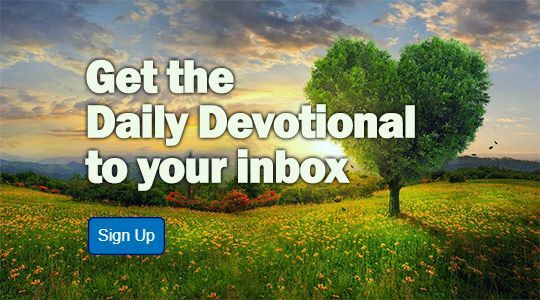 Please Note: The AF Daily Devotional is not archived so be sure to check back each day!